This is my second fall where I am not attending school and nothing fills me with more unbridled envy than seeing other people shop for school supplies. If I could shop for school supplies anywhere in the world, it would be at Goods for the Study on 50 West 8th Street in Greenwich Village. Imagine walking into a movie co-directed by Noah Baumbach and Wes Anderson that primarily took place in a Hogwarts common room at tea time on a rainy (yet cozy) autumn day. That is what this store feels like. The atmosphere is filled with ernest, scholarly serenity. The objects found in Goods for the Study could convince even the most utilitarian of cynics that the act of studying can be elevated into an art form. The owner of the store, Sarah McNally of McNally Jackson books fame, has intentionally curated a collection of items from around the globe that are beautiful but also practical. Because if you’re going to have a stapler, why not have a stapler made by Spanish firearm company that will never jam and can be an heirloom for your studious grandchildren some day? While each product appears to have been carefully selected, the store itself does not have a limited variety (see the abundant pen wall below). I find it charming that Goods for the Study seems to be blissfully unaware that Amazon has scared every other retailer into becoming Spartan stockists. Even though it was only opened a few years ago, the store seems like a preserved gem from a simpler time. I adore Balenciaga’s chic upgrade of the traditional Jansport backpack. Even if your student days are long behind you, this shearling-lined Harris tweed tote by JW Anderson is the grown-up equivalent of a prep school uniform skirt. Although they sold out almost immediately, I lusted after the backpack from the Acne Studios Fjällräven collaboration. The online study community (i.e. “Studyblr” on Tumblr) is quite a cult and I confess I haven’t dissected and analyzed the world of writing utensils like they have. However, I do appreciate great drawing pens. This set of fineliner drawing pens from Amazon are the grown up version of the gel pens most of us mid-millenials grew up hoarding. I have had them for over a year and they haven’t dried up or exploded. My love for Ticonderoga pencils is near fetishistic. They truly are the perfect pencil: the graphite is smooth, the wood they use is firm but a bit bouncy so they’re not easily breakable, and you simply won’t find a better eraser. My little sister, a pen aficionado, says that these ballpoint pens she found at The Container Store are the best ballpoint pens she’s ever used. A bold claim that is worth investigating. 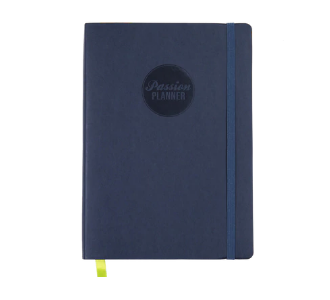 I would be hopeless without my Passion Planner. If fulfills all of my obsessive list-maker needs: monthly calendar pages, weekly to-do lists ordered by priority, hourly appointment slots for each day of the week, a section for gratitude reflection, and monthly overview writing prompts to help me stay on track with my long-term goals. For aimless writing and doodles, I’m obsessed with nondescript Moleskine Cahier journals that come in a pack of 3. Using any Moleskine product makes me feel like a very sophisticated artist from Berlin with many poignant, important thoughts (even though my Moleskines are usually filled with dweeby reminders to wear my retainer and buy Neutrogena wipes). An adult first aid kit is essential. If you’re acne prone like me, the Glossier Zit Stick is a perfect addition to your emergency supplies. It functions kind of like a Tide To-Go bleach pen but for pimples. Genius. Lip balm is also a must, and Glossier Balm Dotcom is always the ticket for me. I chose mint due to the scent having some sort of intellect-stimulating effect…or something like that. A scientific factoid that Cher Horowitz would surely dispense. And who among us has not been crippled by our own need for a midday snack? Avoid sudden onset hanger and questionable high-fructose bodega purchases by keeping a Justin’s Vanilla Almond Butter squeeze pack on your person. Because you’re not always able to bring a candle into your study environment (I was always on my RA’s candle rebel watch list in my college dorm), you’ll need a more mobile form of aromatherapy. 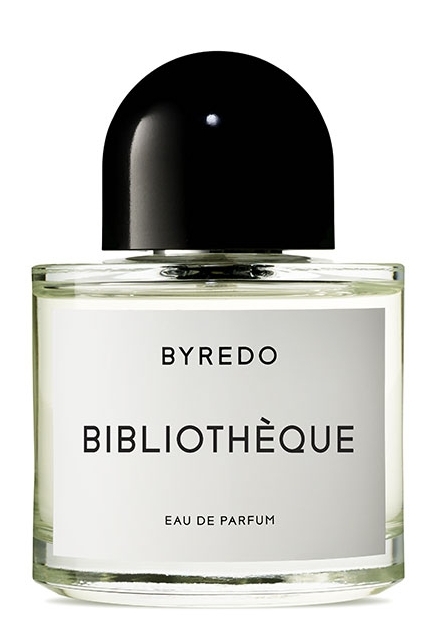 I recommend Byredo’s “Bibliothèque” fragrance. With top notes of leather, wood, and plum, the scent will transport you to a library tucked away in an English manor. This post is dedicated to my stationary-obsessed little sister Emily who turned 19 today and started college this fall.